KNOXVILLE – Agents with the Tennessee Bureau of Investigation have obtained an indictment for a former Fentress County nurse who performed medical procedures without the direction of a licensed physician. At the request of then-8th District Attorney General Lori Phillips-Jones, special agents with the TBI, along with deputies with the Fentress County Sheriff’s Office, began investigating James Cory Taylor on May 21st. On May 11th, Randall Taylor was at James Taylor’s home when Randall became ill and fell into a semiconscious state. James Taylor, who at the time was a Licensed Practical Nurse with the Jamestown Regional Medical Center, started a saline intravenous drip and gave Randall a prescription medication. During the course of the investigation, agents discovered that the IV needle and saline were stolen by James Taylor from the Jamestown hospital and the prescription medication provided to the victim was a prescription Taylor had obtained from a personal visit to the emergency room. The IV drip performed on the victim was without his consent and without the direction of a licensed physician. On Thursday, the Fentress County Grand Jury returned an indictment against James Taylor, 36, charging him with Reckless Endangerment, Unlawful Dispersing of a Legend Drug, Unlawful Practice of Medicine and Theft under $500. 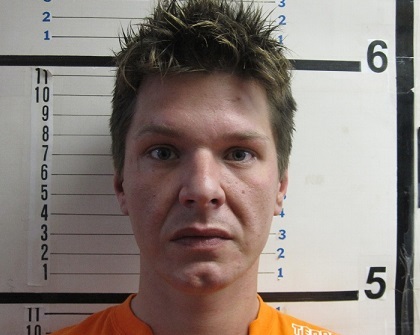 Taylor was arrested that afternoon at his Jamestown home and booked into the Fentress County Jail on a $2,000 bond. Taylor has resigned from the Jamestown Regional Medical Center.